I love my iPad with my iBooks and Kindle apps but there is definitely something to be said about curling up with an actual book. A book is still my preferred method of reading and probably always will be. I love the smell of old bindings and the sound the pages make when I turn them. That’s not to say that I don’t appreciate the advances and ease of use that technology bring to reading. I’ve read my share of e-books and always enjoyed the experience. I suppose you could say that I’ve got my feet placed firmly in both biblio-worlds. Here are six apps that take something from each of those worlds. 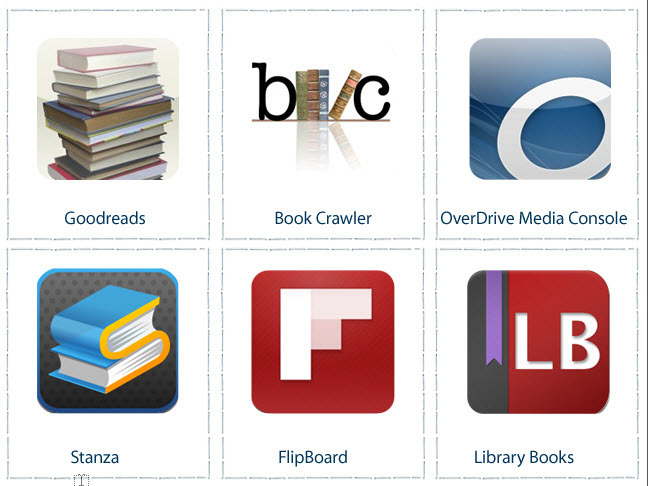 Six apps for the book lover in all of us.